The word “theology” is used in several different ways today, and it is a waste of time to argue about how it ought to be used. What I can do is to tell you how I intend to use it. I use it to mean thinking about God. When we are thinking about God, we are doing theology. All Christians think about God. This means that all Christians have a theology; they all have some ideas about God. This is a good thing because, just as war is too important to be left to the generals, so theology is too important to be left to the academic theologians. We all are entitled to think about God, even if we are amateurs. Of course, just as civilian leaders are wise to consult the generals about war, so all of us are wise to consult the academic theologians about theology. 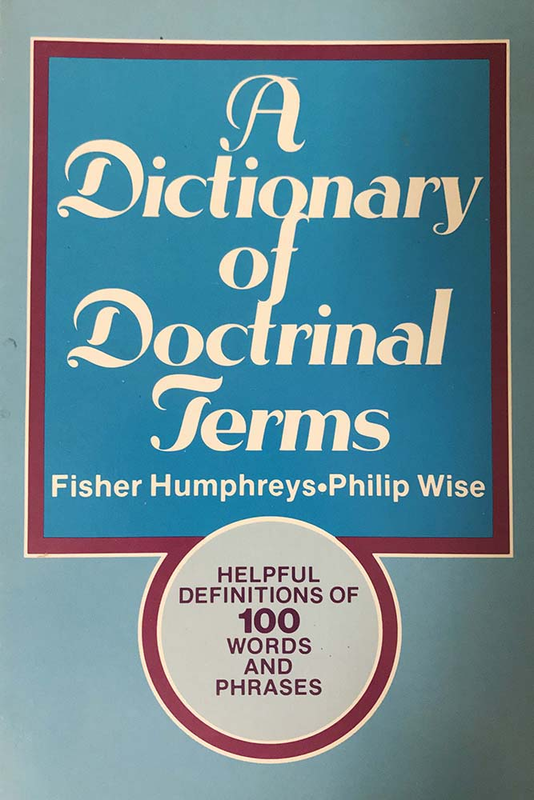 Two longtime friends, a professor and a pastor, have written this book of brief essays on one hundred of the most important words and phrases used by the Christian church today to communicate its faith. The essays range from one or two paragraphs to four pages. The writing is clear and non-technical. The authors hope the book will serve as a resource for pastors, Sunday School teachers, and lay persons. Calvinism is making something of a comeback in some Baptist circles. The authors respect Calvinism, but they provide traditional Baptists with good reasons for retaining the interpretation of the Bible that has been held by most Baptists during the past century. About 1990 some Christian theologians and ministers began meeting informally to discuss theology and ministry. Over the years they developed a strong sense of community, so that their conversations eventually included matters of friendship as well as of faith. Readers of the book will effectively have access to a conversation that took place across almost two decades by a group of informed persons who are intensely committed to the gospel of Christ and to his church. Guided by Jesus’ command, “When you pray say ‘Our Father,’” the author came to the conclusion that what we have always taught our children about prayer is right: prayer is talking to God who listens and responds because God loves us. Humphreys traces out the implications of this understanding of prayer for prayers of worship, thanksgiving, confession, commitment, request, and complaint. The editor used the criteria of readability and contemporary relevance as he chose the 56 readings by 32 authors which make up this large volume.